The mask gives your skin an immediate boost of hydration. The intense moisturising effect plumps the skin to lessen the appearance of fine lines. Leaves your skin feeling fresh and soft. Apply onto perfectly cleansed face and neck. After 10 minutes rinse with water or tissue off the residue. 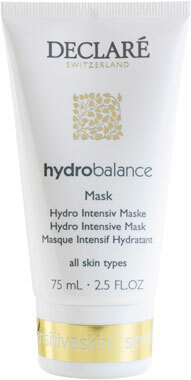 As this is a cream mask it can also be left on the skin overnight.